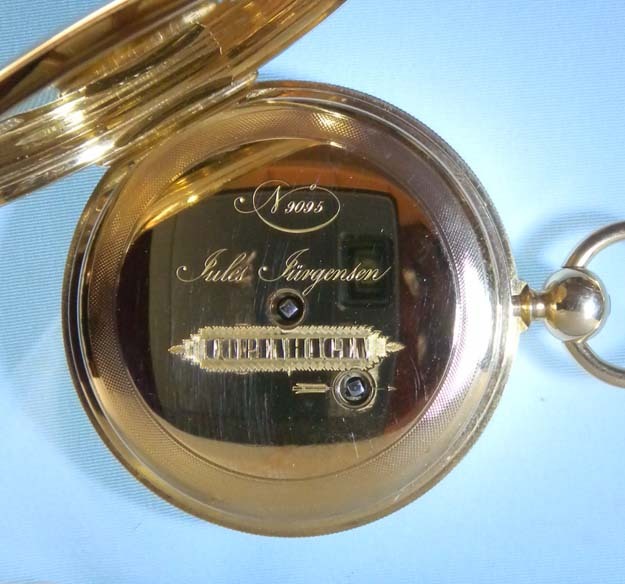 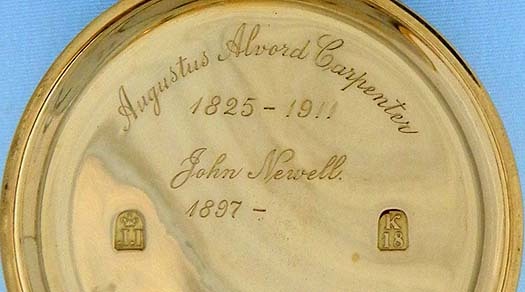 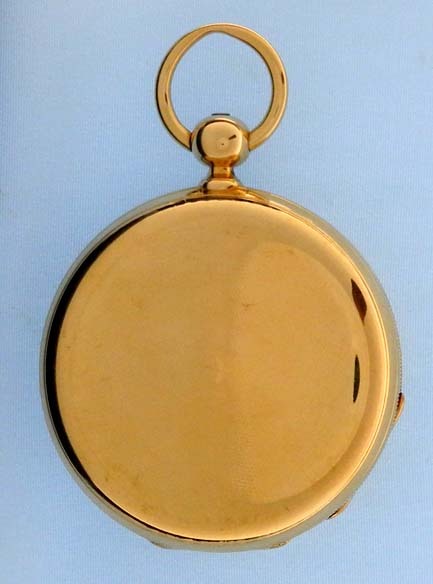 Fine Jules Jurgensen 18K gold keywind antique pocket watch circa 1865. 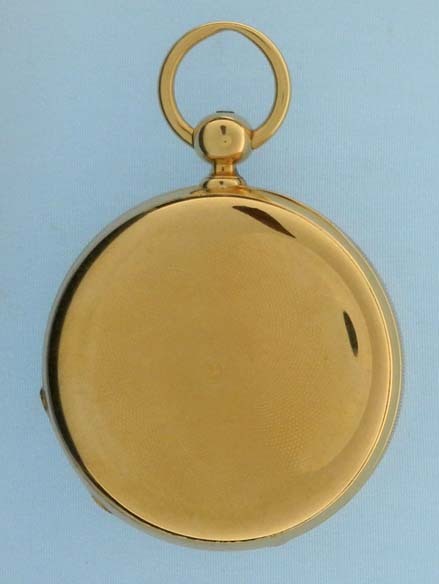 Substantial hunting case with traces of engine turning. 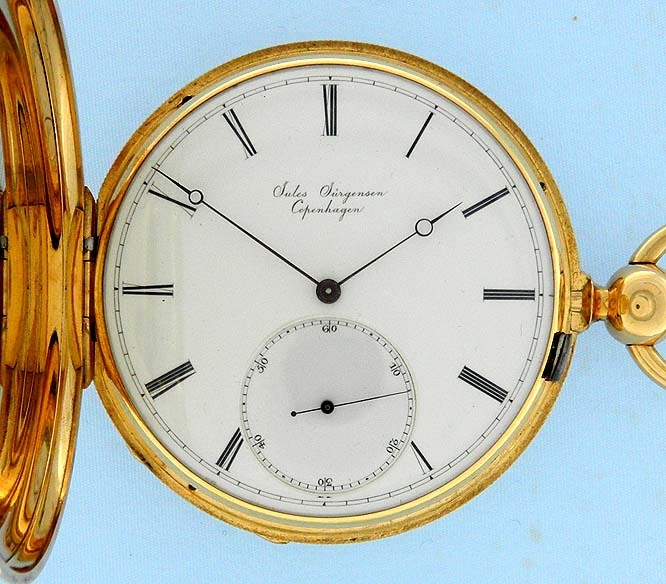 Fine white enamel dial with blued steel Breguet hands. 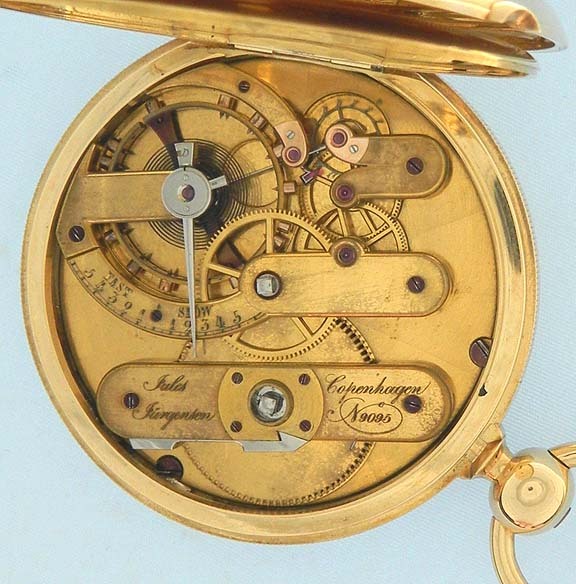 Fine slightly faded gilt 20 jewel movement with oversized balance, gold escutcheons and counterpoised lever.